Today at Ireland Elementary DNR officers and members of the Rotary Club of Jasper were on hand to announce a new partnership between the two while also giving elementary students a chance to gather outside and watch a demonstration of ATV safety with the always kid friendly, Safety Sam. 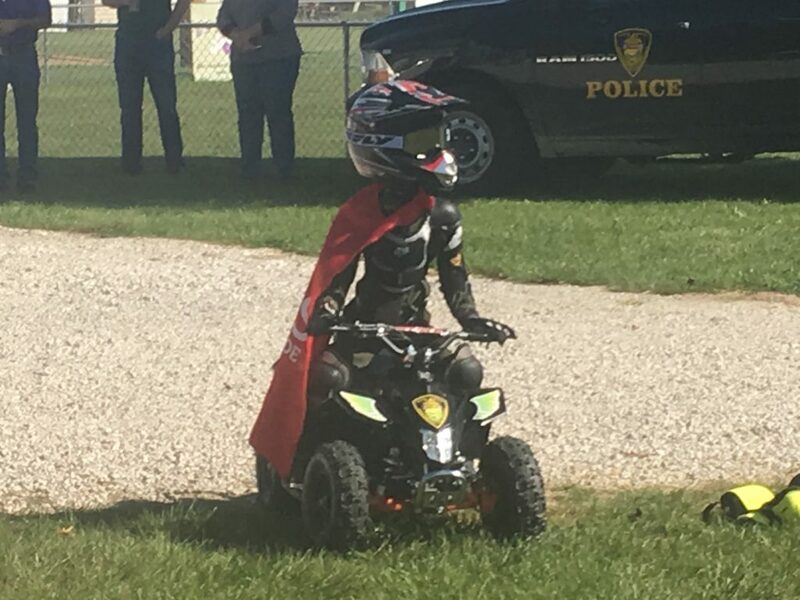 Safety Sam who has seen over 50,000 students is a remote controlled Robot and 4-Wheeler ATV funded by The Play for Kate Foundation of Warrick County. 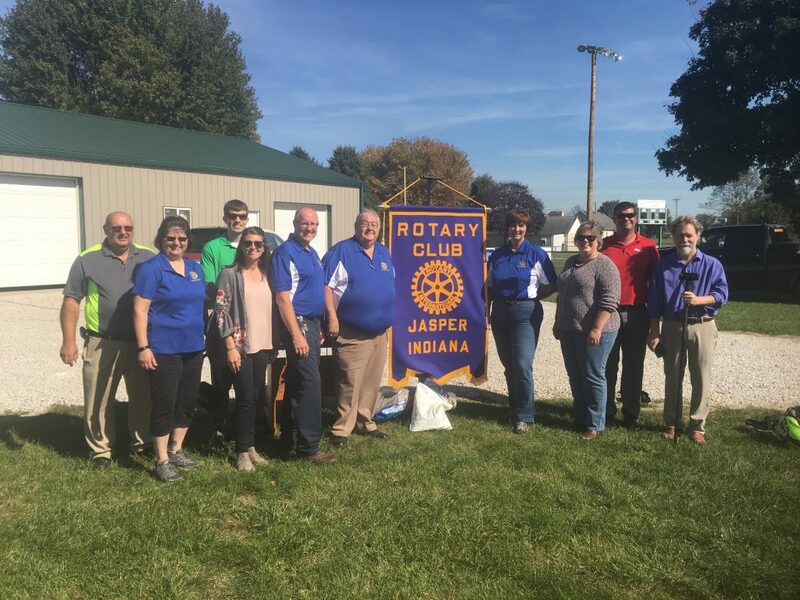 Today’s DNR visit to Ireland not only highlighted youth ATV safety it also gave the opportunity to announce a 3 year partnership initiative between the Rotary Club of Jasper and Indiana DNR Law District 7. According to Indiana DNR state wide statistics, from 2011 to 2016, there were 474 reported ATV/UTV crashes involving operators under 18 years of age. State wide involving all ages, there were 23 fatal ATV/UTV crashes in 2016 alone, 3 in District 7 and already 4 fatalities reported in District 7 this year. 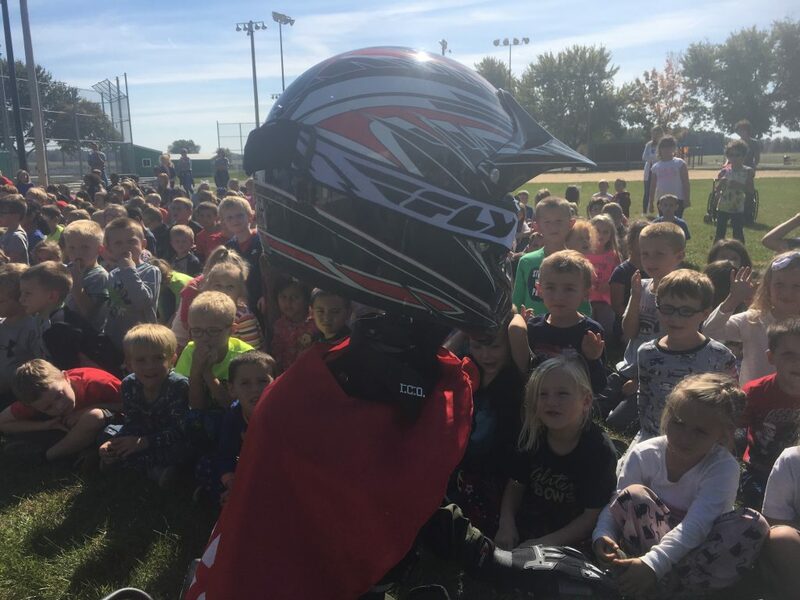 The initiative will target ATV safety education and awareness for the youth of Dubois and surrounding counties. The announcement comes during one of the deadliest years for ATV accidents. This initiative will also involve the support and participation of all Dubois County ATV/UTV dealers. Hopefully, this partnership initiative will help to reduce the number of crashes and fatalities in District 7 over the next 3 years and beyond. 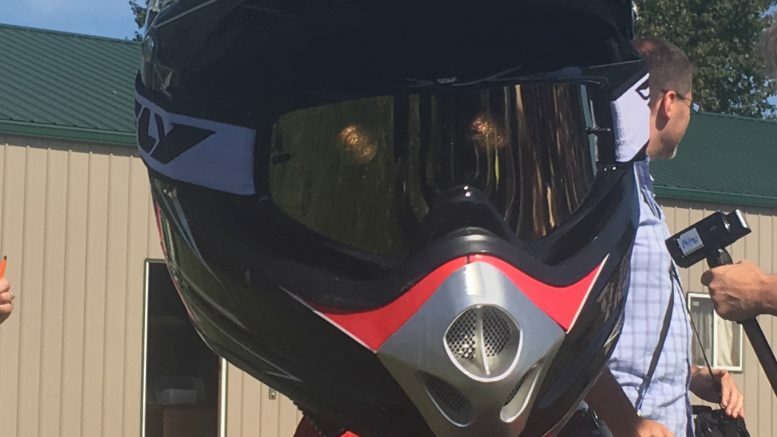 Be the first to comment on "Rotary Announces New Youth ATV Initiative with the Help of Safety Sam"